Haus der Musik doesn’t have its own parking spots. Please note: public parking spots (in the 1st district) are considered short-stay parking zones and require a ticket. 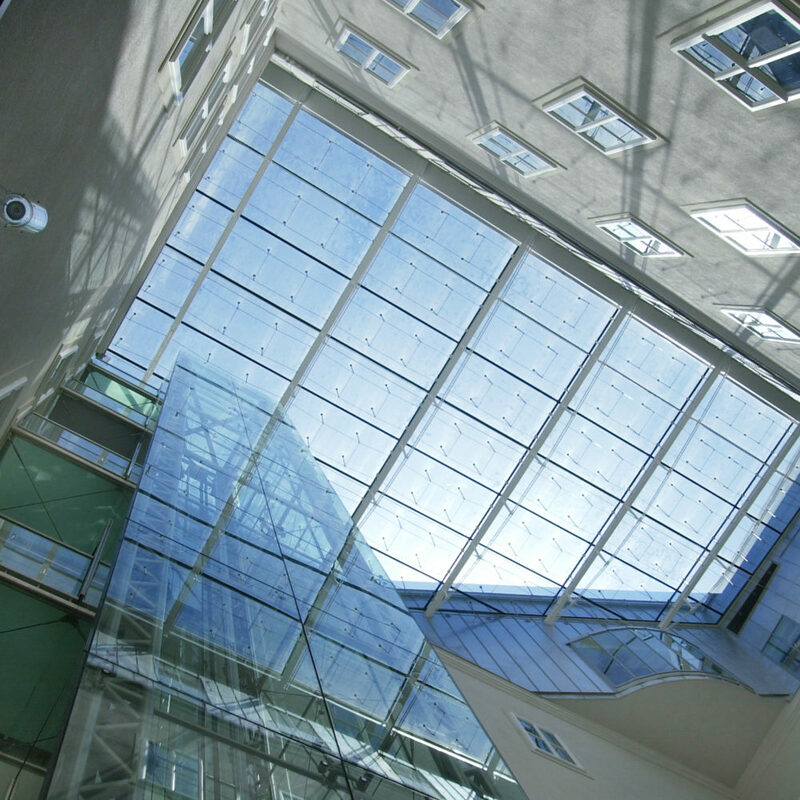 You access Haus der Musik via the glass-roofed inner courtyard. Relax before your visit, get drinks and snack from our self service Café Nicolai or take a look at our spotlight exhibition. Please note: occasionally the inner courtyard might not be accessible due to events. 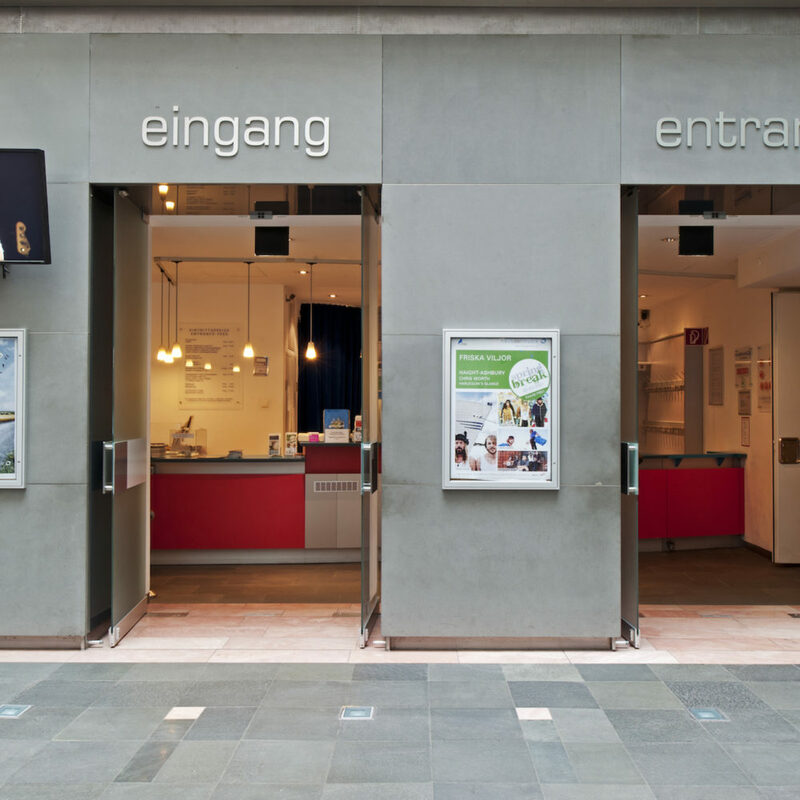 However, the museum is nevertheless open and accessible via the Annagasse 20 entrance. 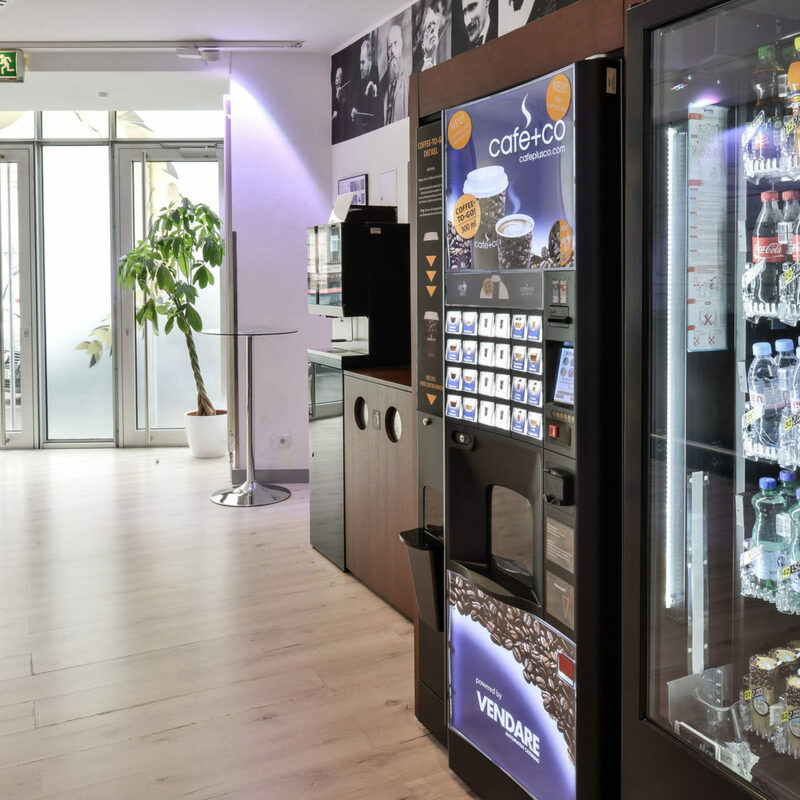 You can get snacks, drinks and coffee from our high class Café&Co vending machines. 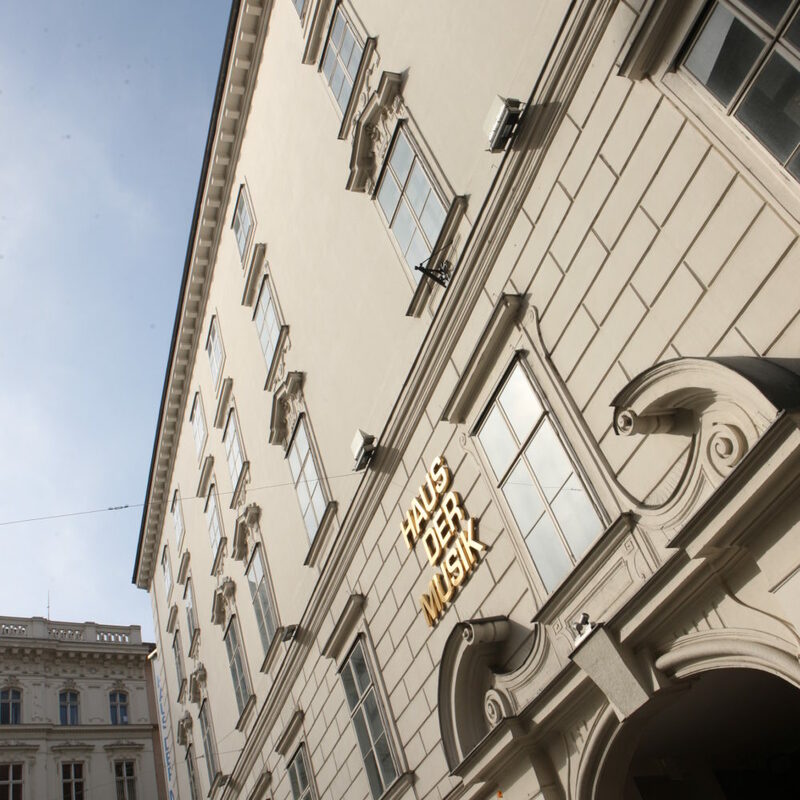 There is no restaurant in Haus der Musik – we recommend one the many delicious restaurants nearby, like the Restaurant Huth (Schellingsgasse). The wardrobe is right next to the cash desk. Due to fire safety regulations, jackets, coats, backpacks and big bags need to be checked in (free of charge). 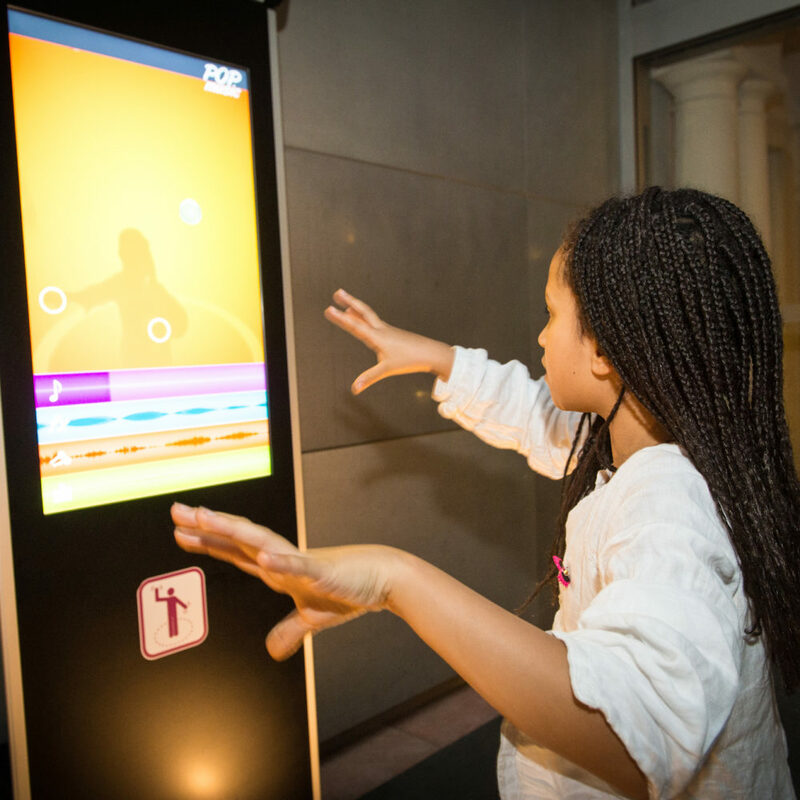 A special exhibition dedicated to various events happening in the music world can be found in the inner courtyard and is accessible for free.